Copyright © Knut Eldjarn - This image is copyrighted. Unauthorized reproduction prohibited. 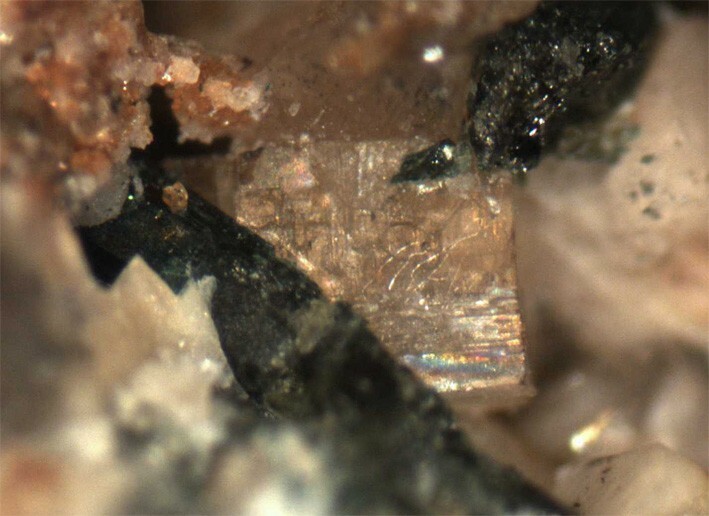 A 1 mm crystal of Neighborite showing typical striations on Aegirine from Gjerdingselva, Lunner, Nordmarka N. of Oslo, Norway. Specimen and photo: Knut Eldjarn.